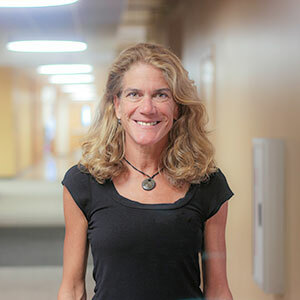 Associate Professor Kate MacTavish is co-author of a new book that takes readers inside life at American rural trailer park communities. Kate and Sonya Salamon of the University of Illinois at Urbana-Champaign wrote “Singlewide: Chasing the American Dream in a Rural Trailer Park,” which examines the role trailer parks play as an avenue to traditional home ownership. Their research found that all too often, residents become stuck and unable to move up the economic ladder. Trailer parks across the country shelter an estimated 12 million people. Although a seemingly affordable housing option, residents are faced with depreciating home values, rising cost of home rental space and the threat of eviction should the park be sold for another use. A large differentiator between owning a home in a trailer park versus in a traditional community is the ownership structure. The families studied owned their home but not the land, creating unique challenges. The financing of a mobile home is also unlike a traditional home loan. Most are financed through “chattel” or personal property loans which function more like a car loan than a mortgage. This type of loan comes with a much higher interest rate and does not have consumer protections – such as bank representatives and title companies– watching over the sale. The ownership structure and financing of mobile homes in a park are some of the factors associated with what the authors term the “mobile home industrial complex.” Kate says this complex makes it difficult to move into conventional home ownership, which was what families in the study desired. The book also examines the stereotype “trailer trash,” which is applied liberally in our country. Kate says the derogatory label is one of the last remaining relics of political incorrectness and can be detrimental. The book tells powerful stories of ways families ­– particularly white families – were shunned because they lived in a trailer park. Children experiencing social stigmatization especially faced challenges as they struggled to fit into the community and attending public school put them into daily contact with stigma. Of the families in three different regions of the U.S. included in the study, the authors had few encounters with the behaviors and conditions typically associated with the stigma. These were not crime-ridden and poor neighborhoods. The families the authors talked with were largely employed full-time, held high aspirations for their children and were proud of their accomplishments as homeowners. “We argue that perhaps it’s time to move beyond the negative images toward efforts that would make this housing form – our leading source of unsubsidized affordable housing nationally– work better for families,” Kate says. Federal and local governments can play a role in making positive changes, she says. Inclusive zoning that integrates mobile home parks into the community can improve access to important supports for residents. Legal protections like “right of first refusal” can help smooth the way for conversion of parks to cooperative resident ownership. Additionally, reclassifying manufactured homes as real estate instead of vehicles would raise the potential to build equity. More personal stories about the trials and tribulations residents of America’s trailer parks face, and potential solutions to helping them move into home and land ownership can be found in the book.